Joseph-Bruno Guigues was born in France in 1805 and entered the noviciate of Oblates at the age of 17. An enthusiastic scholar, Guigues was soon appointed professor of philosophy at the seminary in Marseilles. In 1844, he was made superior of the Oblates in Canada. He directed missionary activities throughout the United Canadas and took a particular interest in the evangelization of First Nations peoples. 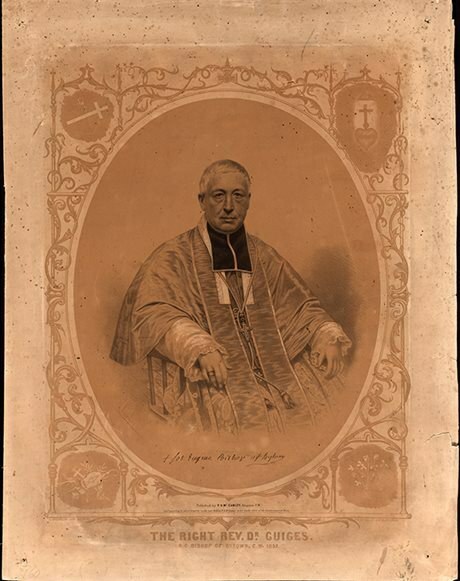 In 1847, he was made the first bishop of the newly created Diocese of Bytown (Ottawa). Bishop Guigues did much to develop the new diocese. A tireless proponent of Catholic education, he brought in male and female religious orders to establish Catholic schools. These orders also created hospitals and a variety of charitable institutions. Bishop Guigues actively encouraged francophone Catholics from Quebec to settle in the Ottawa Valley, and he did much to aid the development of francophone communities in that region. When Guigues assumed the position of bishop, the Diocese of Bytown had an unfinished cathedral, three stone churches, 15 chapels made of wood, seven secular priests and seven Oblates. At the time of his death, it comprised of 67 churches, 48 chapels, several schools and institutions, 53 secular priests, 37 Oblates and nearly 100,000 Catholic faithful. 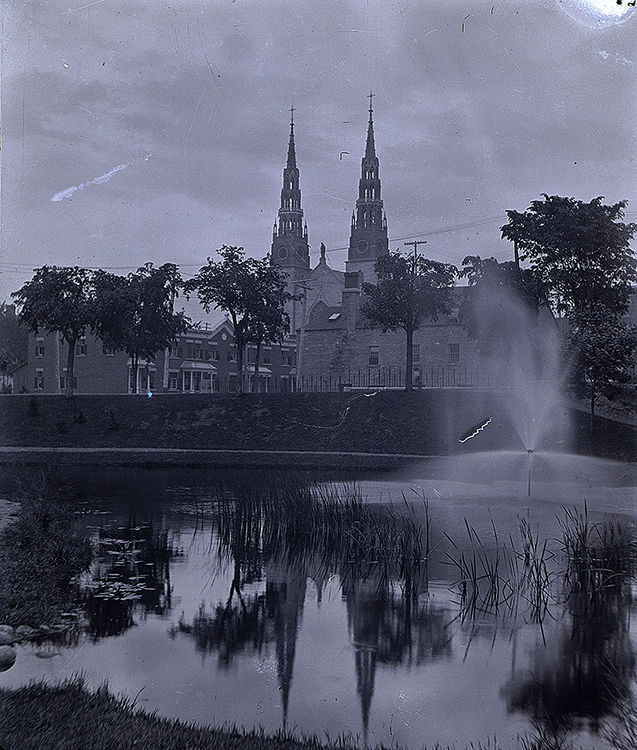 Credit: Archives of Ontario, Reference code: F 1075-13/Image: I0000597 Notre Dame Basilica from Major's Hill Park, Ottawa, M.O. Hammond, 1905.